Fidelity National Information Services (FIS) yesterday agreed to buy Worldpay for about $35bn (€30bn), with the US financial services provider striking the biggest deal to date in the fast-growing electronic payments industry. The financial technology sector is consolidating fast, with global payments set to reach $3 trillion a year in revenue by 2023 as more people switch from cash to digital payments for online and store sales, consulting firm McKinsey predicts. "Scale matters in our rapidly changing industry," said FIS CEO Gary Norcross, who will lead the combined powerhouse in banking and payments infrastructure. Growth in payment systems has kept deals rolling even as merger moves in other sectors have stalled on concerns about trade tensions and a global economic slowdown. The FIS deal, valuing Worldpay at about $43bn including debt, comes a little more than a year after US firm Vantiv paid $10.63bn for the payments firm, which was set up in Britain and spun off from Royal Bank of Scotland in 2010. And in January, US-based Fiserv Inc bought payment processor First Data Corp for $22bn, while Italy's Nexi plans to list in what could be one of Europe's biggest initial public offerings (IPOs) this year. FIS and Worldpay combined will have annual revenue of about $12bn and adjusted core earnings of about $5bn. Shares in Worldpay, which has provided payment processing services for more than 40 years, were up 10.3pc at $108.9 and Fidelity's were up marginally at $109 yesterday. 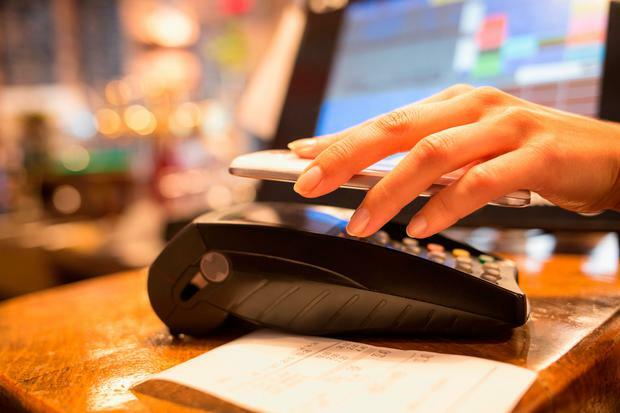 "Parking the two companies together gives the enlarged business a very strong position by which to play the structural growth in digital payments," Russ Mould, investment director at AJ Bell, said. "They will be able to provide clients a wider portfolio of services." Worldpay is a major player in card payments, particularly in Britain, while FIS produces software for banks and asset managers as well as its financial services outsourcing business. Worldpay shareholders will receive 0.9287 FIS shares and $11 in cash for each share held, valuing the company at $112.12 per share, a premium of about 14pc on its Friday close. FIS shareholders will own about 53pc in the combined firm and Worldpay's about 47pc, with Worldpay chief executive Charles Drucker becoming executive vice-chairman.